The Kings & Queens Cleopatra is a brand new cat tree for 2018.. 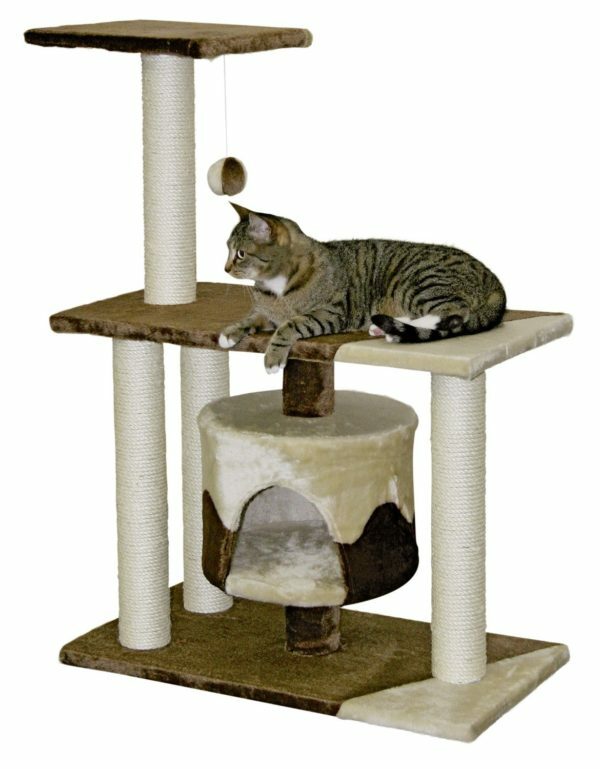 This visually stunning and highly practical cat tree has spent many years in development from one of Europe’s leading manufacturers of high-quality cat trees, Pet Rebels..
Cleopatra is historically famous for surpassing the image of beauty and this cat tree does her full justice by following in her legendary footsteps with this upgraded finish that includes the stunning Anthracite plush and black sisal posts.. The plush material is some of the highest quality available on the market today at 600gsm and includes several beautifully cosy hideaways where your feline friend can escape to and claim as their very own nest..
Also included within the kitty caves are removable pillows to provide extra comfort. The sisal posts have been hand wrapped and glued to wooden posts to ensure maximum stability as well as providing a long-lasting scratching experience for your feline friend. The scratching posts are 9cm in diameter and the natural sisal is strong and resistant with 5.2 mm thickness. This product is more than suitable for all breeds of felines including large cats that require extra stability if they decide to get a bit excitable! The Kings & Queens Cleopatra 143cm (Dark Grey) will make a fantastic addition to your home which not only your cat well love. But, you will just as much as well..